They would have to lose to Argentina in Argentina for us to have a sniff. As well as Argentina is playing, I can't see that happening. Argentina has been awesome this far. No arguments there. But one thing this NZ side is renowned for, is learning from and rectifying mistakes. I can't see them losing to Argentina. And no doubt they will send their strongest possible team there to wrap up the championship before they arrive on SA shores for their match against us in Pretoria. Excellent performance by the boks. Whiteley and diyanti man of the match for me. Not getting the praise for PSTD there were 4 tackles I saw him miss and 2 occasions were he was too slow. We must have been watching different games... PSTD made 28 tackles! He was absolutely everywhere! I'm his biggest critic but today he was immense! Whiteley too!! Diyanti had a good game but nowhere near motm IMHO. Yes, Whiteley was awesome on defence. 20 tackles. But Peter-Steph du Toit and Franco Mostert both beat that at 24 tackles, according to the Sanzar stats. I thought PSduT made a few more. Also, at least 4 of his tackles really counted, though Whiteley did have one try-saving tackle at 7m in front of the posts. Btw, I'd still like to see Whiteley take his rightful place as captain. He's a good player but really excels as captain. What makes this defensive win even more delicious is that for half of the critical final quarter we were a man down. WlR, not a slouch defender, was only back for the final 4 minutes. On a side note a whole host of high profile SA players turned out for the Stade francais/Toulon fixture. For Stade, Willem Albert's (had a huge game), morne steyn (also had a good game, don't think he missed a single kick), piet van zyl, Marcelle van Der merwe, coach Heyneke Meyer. 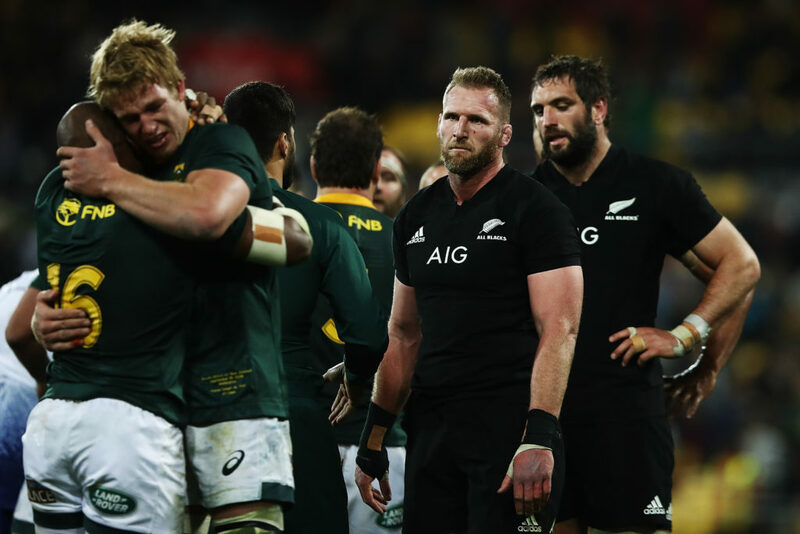 Commentators have been commenting a lot about the Bok win yesterday too. They should have sent the fan back to the outback. Eish, that's rough. They're saying the guy pushed Tui's sister. His stepfather also passed away on Wednesday (why they were wearing black armbands). I see there's some complaining about a late offside from 8 and 9 that the touch reff called, but Nigel didn't hear/ignored. I don't seem to find any footage of that moment, anyone know what they're referring to? Looked more like he was milking penalties for the Kiwi's. We won a turnover and he called it short. What does that even mean? Nigel missed a good game. Like the side entry from Read just before Willie's yellow card. The state of Japan's youth rugby (development). ^^What they learnt? How to read a cricket score, I guess...? No. Japan Junior, only field’s one player of the top three rugby universities in Japan. Panasonic Wild Knights made history last year for signing the first university student.